Almost 700 teaching posts across Scotland remain unfilled with less than 2 weeks left until pupils return for the new term. Research by The Herald has revealed there are currently 670 teacher vacancies at primaries and secondaries across Scotland. Areas such as Aberdeen, Aberdeenshire and Moray are facing a real shortage of staff, with the Highlands and Glasgow also having a higher numbers of unfilled vacancies. The research found that but Edinburgh, Dundee, Renfrewshire, Dumfries and Galloway and Stirling have very limited places needing filled. Subjects such as science, maths and computing were the most in-need with the majority of shortages across the country being in those key subject areas. Music, languages, physical education and home economics were also all undergoing a shortage. The so-called teaching crisis has long been a hot topic in Scotland with a number of schemes being discussed to try and solve the issue. The Scottish Government has proposed a number of fast-track training options to train up new teachers and ready them for schools more quickly. Ministers have also offered bursaries to those wanting to switch career and teach in shortage Stem subjects. Despite the proposals, teaching unions say that the problem is not going to be solved through fast track schemes, but through improving pay and conditions. Unions argue that the increasing workload of staff putting off recruits at a time when salaries have declined in real terms is the main issue. Larry Flanagan, general secretary of the Educational Institute of Scotland (EIS) teaching union, said the figures confirmed ongoing difficulties. 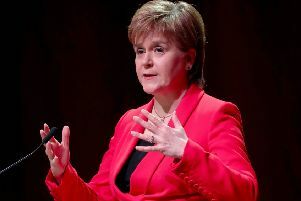 Speaking to The Herald, he said: “Issues such as excessive workload demands, increasing class sizes and substantial cuts in teachers’ real-terms pay have contributed to an environment where many people no longer view teaching as an attractive career option. “It is a matter of real concern that so many vacancies exist so close to the start of the new school year, meaning that a significant number of pupils will not have a permanent teacher for their class or may be taught in a class led by a non-subject specialist. A spokesman for council umbrella body Cosla said some vacancies were likely to be filled over the next few weeks, but the issue was an ongoing concern. He said: “Both councils and the Scottish Government recognise teacher vacancies as an on-going pressure and are working together to get a better understanding of the issue and how we can avoid such vacancies going forward. A spokesman for the Scottish Government said there was a recognition that some areas were facing challenges filling vacancies. He said: “That is why we invested £88 million in 2017, resulting in 543 more teachers than last year – the second year in a row that numbers have increased. “Our ambitious reform agenda is aimed at making teaching an attractive career choice with varied opportunities to develop. “We have taken decisive action to recruit and retain teachers through our Teaching Makes People campaign and have created new routes into the profession. Of the 32 councils contacted by The Herald a total of 28 responded directly with 657 teaching vacancies split between primary and secondary. The remaining councils are advertising around 10 jobs on the website My Job Scotland.